Phil and I have been home from Vietnam for over 50 years. Why would we want to go? Some scars never go away and some heal. We discovered that as we healed over the years we just might be able to help some of our younger veterans understand that it is a process of healing that takes time. 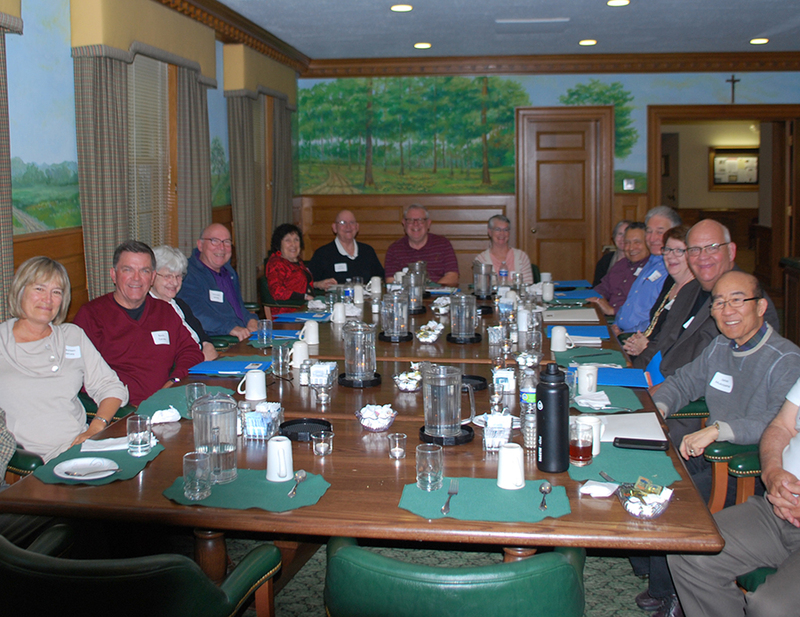 Recently Phil Miller and I attended a Veterans Coming Home Retreat at the Bellarmine Retreat House in Barrington, Illinois, after hearing Fr. Max suggest veterans in the parish consider attending. When we inquired, we discovered it was for veterans and their spouses and family members. At the retreat there were veterans from Vietnam as well as the more recent conflicts involving members of the US Military: the Gulf War, Iraq, Afghanistan. The common bond we discovered was we were with vets, and in some cases spouses, who understand the stresses of military deployment and the adjustments necessary when returning to the USA or separating from the military and entering civilian life. Even though there were significant age differences, we all had a common bond and found we could talk about the transitions. The best thing was we could talk with others who really "get it"; the sacrifices and healing members of the military experience, especially when in harm's way and then returning to a safe environment. Phil and I have been home from Vietnam for over 50 years. Why would we want to go? Some scars never go away and some heal. We discovered that as we healed over the years we just might be able to help some of our younger veterans understand that it is a process of healing that takes time. So you know, Phil and I met at St. Mary's after moving to Sun City and became friends. We did not know each other 50 years ago, but as we talked we discovered we were stationed with the Army in the same area near Saigon and Ton Son Nhut Airport in 1965-1966. How ironic! We invited our wives to attend with us. Both Char Miller and Pat Rzeszutko found the retreat very personally worthwhile as well as being part of the continuing healing process that veterans experience. Regardless of the conflict in which you served our country in the military, we strongly suggest considering attending one of the upcoming retreats. And, yes, spouses please go. Both of you will benefit. And it will make a difference to your vet as time goes on.